Every Friday from 8:45-9:20 you will be able to join your child in their class to support them in their learning! Each week there will be a focus and an opportunity to watch your child's teacher deliver a lesson. This will enable you to gain a greater understanding of the expectations and the different questions that are posed to your child to enable them to become successful learners. 'Your child has been given a login to 'My Maths'. My Maths' is an exciting application that your child can play on the computer or mobile. It provides them with an opportunity to learn new skills such as; adding and subtracting as well as consolidating taught skills in a fun and exciting way! You can download the application onto your phone or click below for access to the website. Please encourage your child to use this application every day! 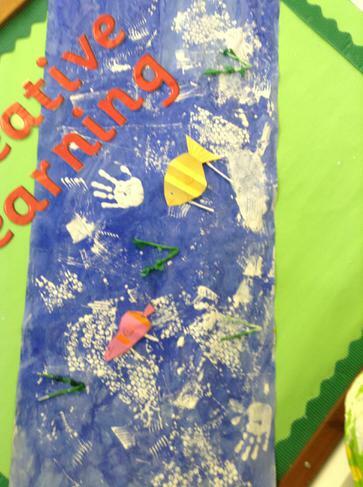 Take a look at our first fabulous Mark Making…. Take a look at all the learning we have done! The children have been reading 'Brown Bear Brown Bear What Do You See?'. 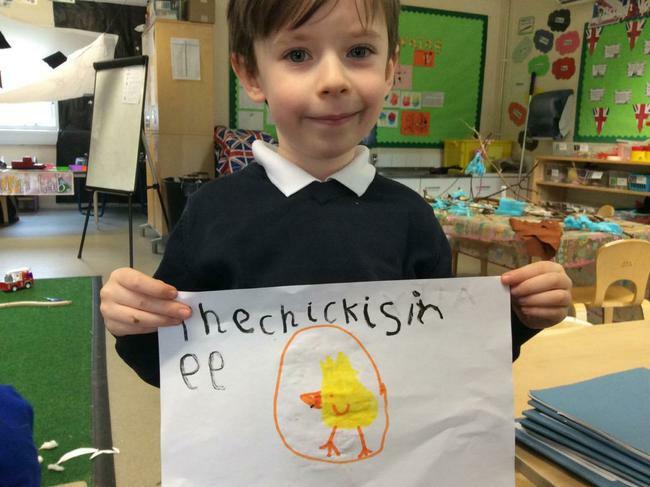 They have been identifying high frequency words and learning how to read from left to right. 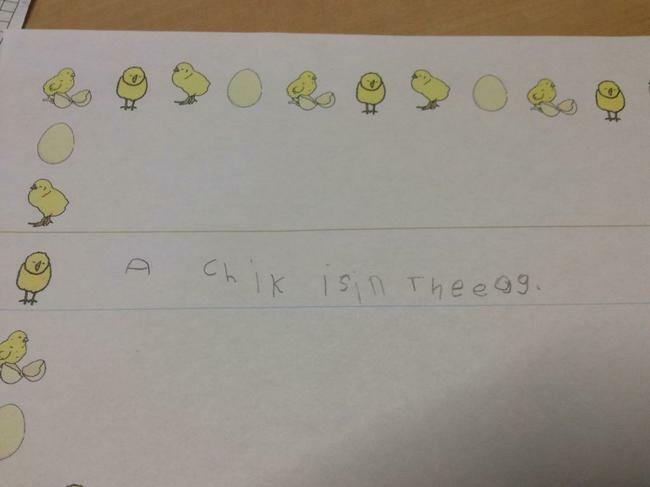 The children have been writing sentences about what they see! The children have been practicing recall numbers from 1-20! They have been recognising numbers around the learning environment and using mark making to represent this. They have identified 2D shapes and have been introduced to the vocabulary 'sides' and 'corners'. To celebrate ‘Black History Month’ the children in Reception took part in an African day! They learnt about the similarities and differences between England and Africa, tasted a range of fruit , made necklaces and danced to music! Take a look at what we will be learning this half term! This half term the children will be reading Mr Gumpy's Outing! They will be making predictions based on pictures, recognising high frequency words and segmenting and blending a range of words. Take a look at where the naughty bus goes! The children in Reception have been learning about ‘The Naughty Bus’. They have been predicting what is going to happen in the book, putting buses into chocolate and writing sentences about the bus! Reception were learning about floating and sinking in the outdoor area! They were able to predict which objects were going to float and sink! 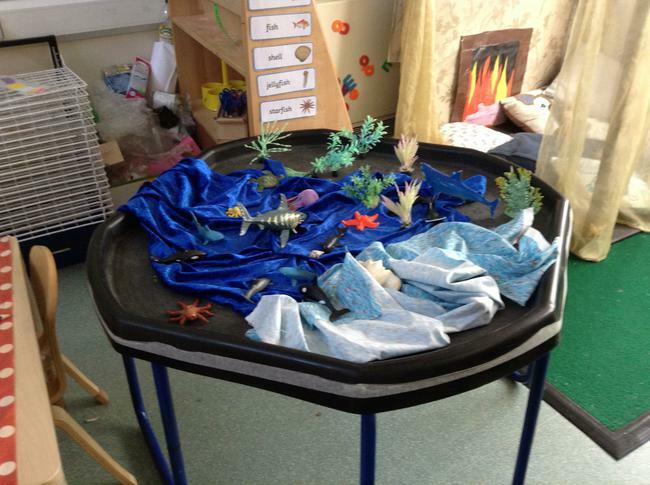 Aaron in Yellow class explained that he had a toy in the bath and it floats! Fares knew that a submarine sinks when you put it in water! I wonder whether you could list any objects that float? On Thursday 2nd November the London Fire Brigade visited Reception! The children were able to learn about what firemen wear, what equipment they need and what it is like to ride in a fire truck! Look how much fun they had! Every Friday families are invited in to support their child in develop in their learning. You are able to come in from 8:45-9:20 and this is an opportunity to see how your child interacts with their friends, understand the methods of teaching and take a look at their learning. 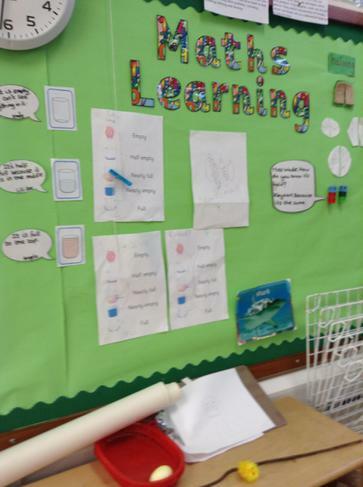 Take a look at what the children have been learning! Trip to the Post Box! On Friday 8th December, the Reception children posted letters to Santa! They independently wrote letters to thank Santa for his gift and asked for a present for Christmas. During their walk they noticed that an aeroplane was flying and saw lots of Christmas decorations. Take a look all the fun we had on our first local trip! 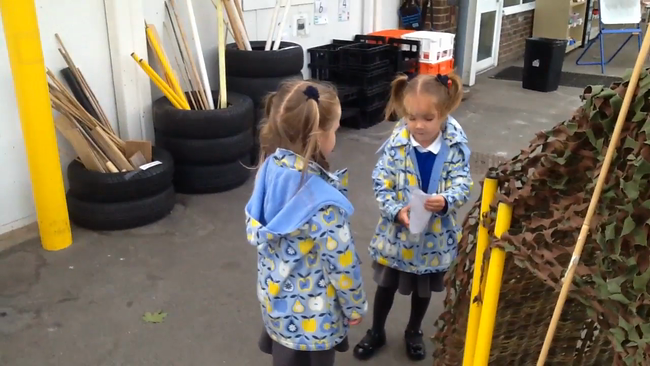 A MYSTERIOUS OBJECT LANDED IN THE RECEPTION GARDEN! DID YOU SEE ANYTHING? On Monday 8th January a strange object crashed into the Reception garden! The children went outside to investigate! Take a look at the pictures... What do YOU think happened? After the mysterious rocket landed the children wrote sentences about what had happened! 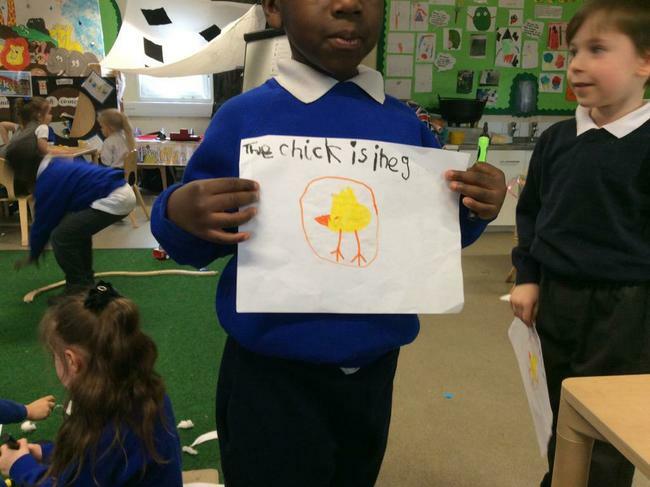 We had a P4C lesson on what we thought had landed. From this discussion the children were able to say statements about what happened and as a class generated questions! Your child is going to be learning lots of interesting facts about Space!! Look at this video and see how many planets you know! Reception have been learning about addition and subtraction this half term. They have been using concrete objects to add and subtract. They have been consolidating their knowledge of number recognition in 'Mighty Maths'. The Singing Walrus presents "Number song 1-20 for children" - help your child to recognise numbers to 20 by listening to this exciting song! We were lucky enough to have a visit from Oggy the dog! We also got to stroke a rabbit - we wanted to keep all of them! William Bellamy Primary School participated in 'Number Day' for the NSPCC. They took part in exciting and engaging events such as; cooking, number songs and making shapes. Here are some pictures of us in action! When the space man came to William Bellamy Primary School! On Monday 5th February 2017 ‘The Astronomy Road show’ came to visit us! We got to learn about Space, astronauts who have landed on the moon and how rockets take off from NASA. Have a look at what we saw! Spring 2 – Lets pretend! This term the children will be focusing on the ‘Let’s Pretend’. The children will be exploring the text ‘The room on the Broom’ and will be writing amazing sentences about where they went on their broomstick! They will continue to practice their high frequency words everyday to make certain that they are using these in their writing. 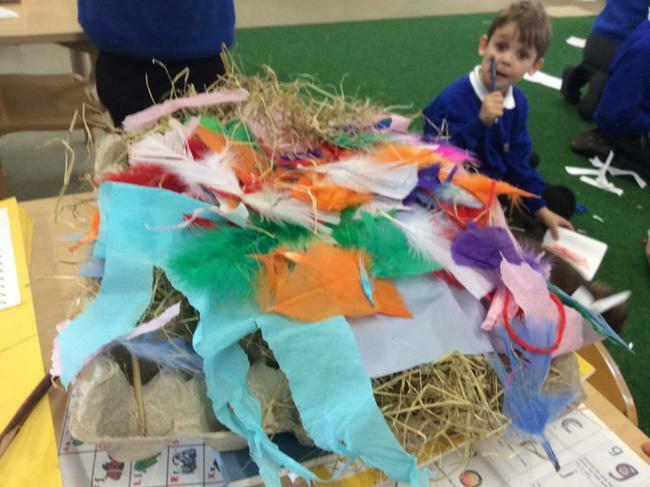 The children will be using story boxes to create their own stories and act these out. This term, the children will be learning about doubling, halving, addition and subtracting. 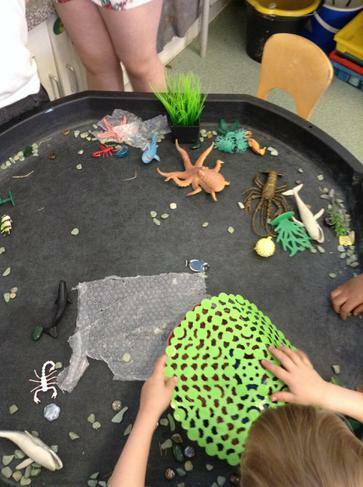 They will be using concrete objects such as; playdough/counters to support them with their learning. They will be halving given amounts by exploring what half is and then sharing objects between two people. In addition to this. the children will be adding/subtracting two given amounts together and learning methods such as counting on/counting back to complete this. Children’s login details will be sent home so please ensure that you are using this with your child. Reception children went on a journey on a broomstick! They used their imagination and were able to think of some very interesting places that they would like to go! Take a look at our potions that we wrote! We were using different resources to double and halve different numbers. We found out that when you double you add the same number together and halving is when you share equally! CAN YOU SOLVE THIS PROBLEM?????? Miss Colley has 5 sweets and Miss Ghai has double the amount. How many sweets does Miss Ghai have? Are you doubling or halving? How do you double...? Show me your thinking? Why did you do that? 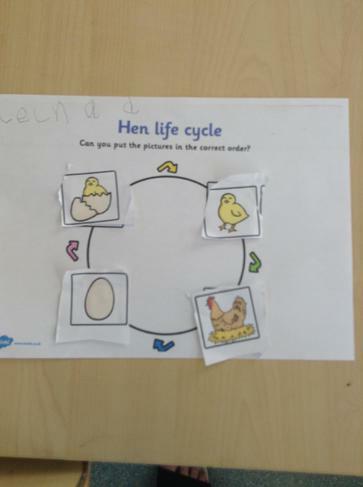 Reception children were learning about the 'Lifecycle of a Hen'. They were able to sequence the lifecycle and answer how and why questions to explain! One day something fantastic happened! Wellgate Farm asked us to look after their eggs! 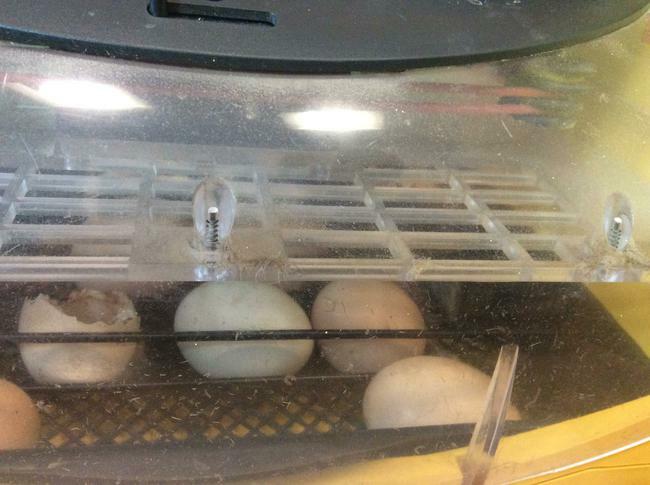 We kept them safe and warm in an incubator and watched them hatch! 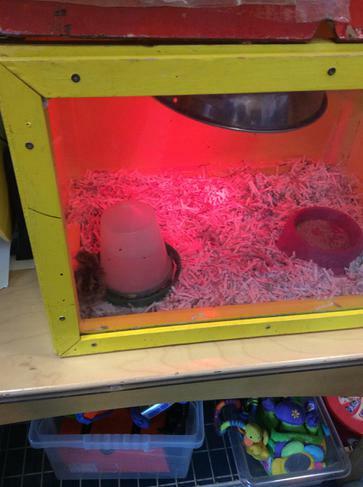 There were 4 chicks altogether and we named them! 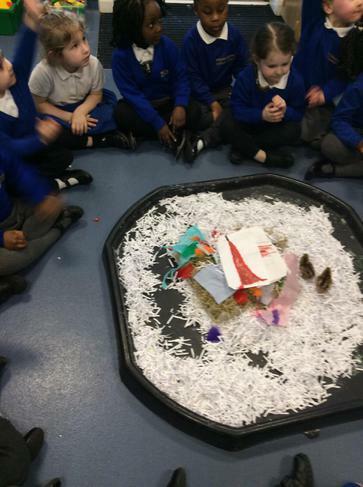 We enjoyed making homes for the chicks, using a variety of materials and were able to write diaries about them. Here are some useful links to support your child at home! Welcome back! 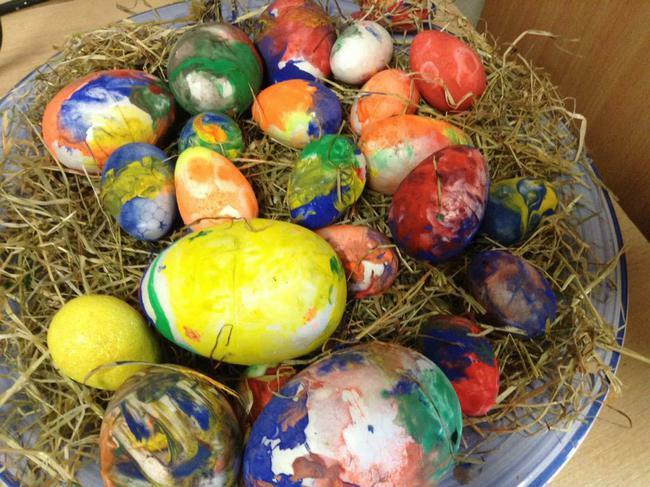 We hope that you enjoyed your Easter break. This half term we will be focusing on lots of exciting things! Please read the newsletter to find out how you can support your child at home. This is our text for the next few weeks. 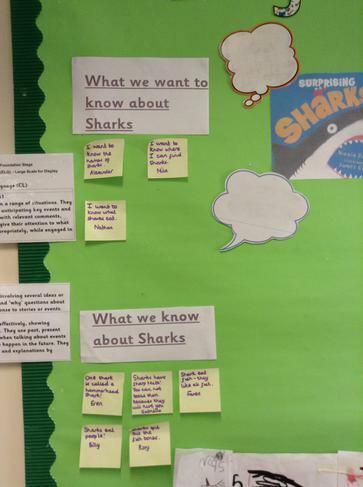 The children will be making sensible predictions based on the front cover, writing fact books and protesting to stop shark finning! Take a look at our ideas so far! To find out more interesting facts about Sharks click on the link below! We have been learning about 3D shapes and their properties. We can name a cuboid, sphere, cone and pyramid! We know that 3D shapes have faces, edges and vertices and we have found these on the shapes! - What is happening to the sea creatures? - How can we stop this?